Dig a little deeper, though, and the twin trends of evolution and reinvention begin to appear in the retail sector. More people are shopping online through vendors such as Amazon, and that’s not going to stop anytime soon. Based on that, it would be easy to think that retail as we know it is dead, or at least kneecapped. But pull back from old-school department stores and mercantiles, and the retail picture becomes a good bit more complex. “The answer is always in the weeds,” says Bill Kilbride, chief executive officer of the Chattanooga Chamber of Commerce. That said, Kilbride is quick to point out that the retail retention velocity is much higher than other industries, so it’s hard to pin down their numbers for very long. Still, the numbers for more traditional retail, not to mention several other legacy service sectors, are grim. For the first four months of 2017, the report showed department stores down more than 26,000 people, while sporting good and music stores were down more than 15,000 and electronics and clothing stores had taken a combined hit of almost 19,000 losses. The study pointed to online purchasing as one culprit for the physical-location losses, and further posited that more low-paid occupations would become more vulnerable over time due to automation and other structural factors. Even so, Kilbride and others whose day jobs include monitoring these kinds of trends say that some of those workers are transitioning to newer retail offerings. Certainly a 50-something store clerk isn’t likely to head out to an Amazon warehouse for work, but those jobs – which some trackers lump under retail and others call logistics – are there. 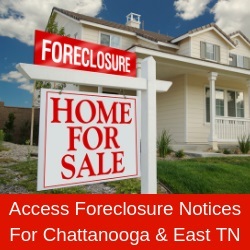 And in areas like Middle Tennessee, which are drawing hundreds of new residents every month, the hits don’t keep coming. “Retail follows population growth, and so Nashville is doing better than the state and even the United States over the past decade,” says Dr. Garrett Harper, vice president of research for the Nashville Area Chamber of Commerce. “But there is a lot of change going on. We study a 14-county region, which has all the major components of retailing, and we’re pretty close to what you would find in the rest of the country. “But we also look at the workforce analysis, and think that we’re looking pretty good in retail for the next 10 years or so, as well. Because the Nashville Metro area is large, it will continue to draw different types of retail to service its growing population, which also keeps a retail climate healthy, Harper adds. “The area is a focal point of shopping, which attracts residents and also visitors,” he points out. Even as retail might slow, however, there will be enough uptick in other areas that at least some of those displaced workers can find something else, which will keep the area’s overall unemployment rate down. Overall the state might actually be growing in retail, says Dr. Bill Fox, director of the Boyd Center for Business & Economic Research at the Haslam College of Business, University of Tennessee. Fox also uses dining establishments, which are doing “pretty well,” and music retail in the physical vs. online space, which is down, to make his point. He also notes that the hiring patterns are different for employers in the retail sector, further muddying the waters and making comparisons difficult. “Five years ago, Amazon was hiring one worker per $1 million in sales, where Walmart was hiring almost five,” he explains. “That was analyzed by dividing up total employment by total sales. “As we transition to e-commerce we will see fewer workers in traditional retail, but there are other parts of retail and as consumers drive an economic expansion with spending, hiring will take place in those areas. In the end, retail employment, like any other line of work, will always be a little tough to predict, much less to plan for. “There will always be demographics changes, and peaks and valleys that can be cyclical for certain industries and occupations,” Harper adds.